In the middle 1889 Dr. Antonin Teuchmann (1825-1890), a reputable local physician and mayor of Úpice, a small town in north-east Bohemia, went to the nearby mining village of Malé Svatoňovice, to see his younger colleague, the 34 years old Dr. Antonín Čapek, and to ask him whether he wants to change his location and to move to Upice. Teuchmann was in poor health and wanted to transfer his practice in reliable hands. Antonín Čapek was born on 26 July 1855, in Žernov, a village in north-east Bohemia. He was the first son (the family had a younger son, Josef, and a daughter, Anna) of the farmer Josef Čapek and his wife Františka Čapkova (born Vítková). Antonín studied at the real grammar school in Hradec Králové and after graduation he passed to the medical school in Prague. After graduation in 1881, he entered the service as a military doctor in Galicia, but soon returned to his homeland, accepting the position princely mining and spa physician in Malá Svatoňovice village. On 6 November 1884 Antonin married to the young Božena Novotná (26 May 1866–13 April 1924), the daughter of Karel Novotný (1837-1900) from Hronov, a horses and grain trader, and miller, and his wife Helena Novotná (1841-1912). In fact, Karel Novotný did not think the doctor is a suitable pair for his only daughter. He hoped his son-in-law to be a businessman, whom he would be able to pass the trade in the future, not a poor physician. But Dr. Čapek did not intend to give up, and as he had the future mother-in-law on his side, his father-in-law's plans were blunted. The Čapek's spouses were of a different nature. Dr. Čapek was a cheerful, shrewd, rural man who did not play on any intellectual. On the other hand, his young wife was graceful, fragile and extremely sensitive. 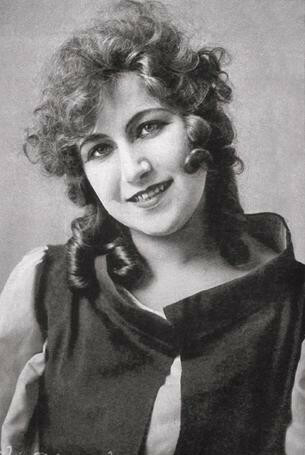 She had intellectual inclinations, as she knew German, loved literature, and played piano. Following the visit of Dr. Teuchmann, after some initial hesitation (yet he had two small children, Helena and Josef, born in 1886 and 1887 in Hronov, and the third, Karel, was in his way), Antonín Čapek accepted the proposal. He bought a land in Upice, for only four days obtained a building permit, and began the construction of a new house. For a quick completion and relocation, the family was forced into by a sad situation. Dr. Teuchmann died in the spring of 1890 and Čapek moved to Úpice with the only five-months-old Karlík (Karel was born in Malé Svatoňovice on 9 January 1890) in June, 1890, accepting a position of doctor at the local textile factory, and establishing his own practice. Karel grew up in Úpice, where from 1895 until 1901 he attended the local primary school (Volkschule and the first class of Stadtschule). He was very sick as a small child with spinal problems, and was to remain so for the majority of his life. Because he was the youngest, and in poor health, he was lavished with attention at home. In 1901 Karel entered the Gymnasium in Hradec Králové. There he joined a secret student discussion club and participated in the publication of the magazine Obzor. This activity was unacceptable for the Austro-Hungarian authorities at that time, and he was advised to change the school. 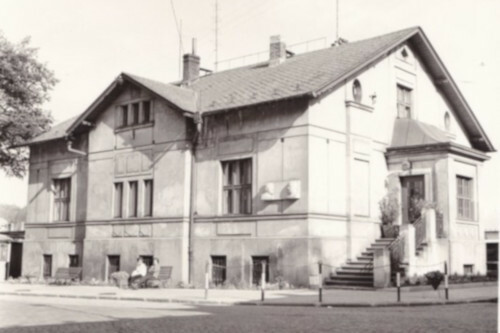 Thus in 1905 the family decided that Karel would be transferred to the First Czech Gymnasium in Brno because his older sister Helena was married there to an important Brno lawyer, Karel Koželuh. In August 1907 Antonín had to abandon his Úpice medical practice due to illness, and the whole family moved to Prague, where Karel studied at the Academic Gymnasium until 1909. From 1909 until 1915 Karel studied philosophy, aesthetics, art history, German, English and Czech at the Faculty of Arts at Charles University in Prague (with a year-long interruption because of his stay at the University of Berlin and especially in Paris, where his brother Josef was at that time), where in November 1915 he received a doctor’s degree in philosophy (dissertation on pragmatism). 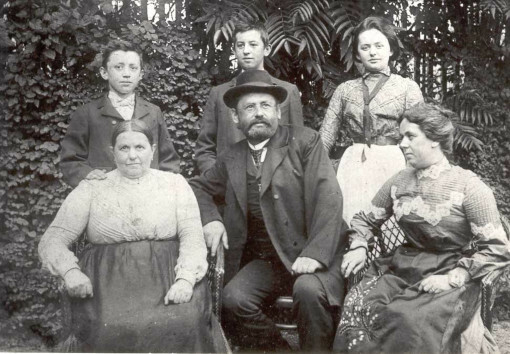 Dr. Antonin Čapek and his family (Upice, beginning of 20th century). 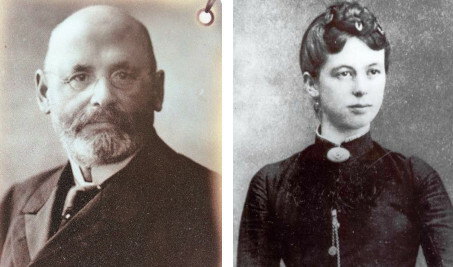 Dr. Čapek is in the center, in-between his mother-in-law Helena Novotna, and his wife Božena. On the second row are the children: (left to right) Karel, Josef, and Helena. 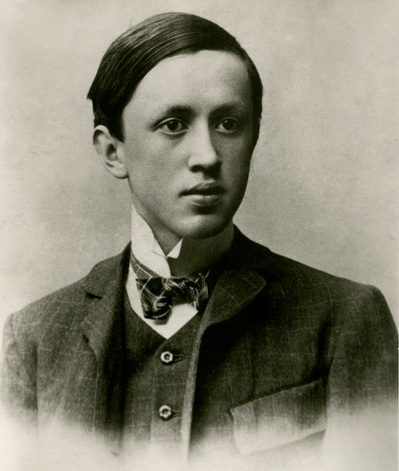 Karel Čapek spared compulsory military service during World War I due to his spinal problems. From the beginning of 1917 he worked as a private tutor of Prokop Lažanský (a Czech nobleman) at the castle in Chýše by Žlutice. In October he started as an editor of the National Journal (Národní listy). From 1921 until 1938 Karel worked as an editor at the Prague editorial board of People’s News (Lidové noviny). In 1921-1923 he was a script editor and director at the Royal Vineyards City Theater. In 1920 Karel Čapek met the young actress Olga Scheinpflugová, the daughter of the writer, journalist and playwright Karel Scheinpflug, but he needed neither more nor less than 15 years to take in marriage to her, on 26 August 1935. The newlyweds receive a house in Stará Huť near the municipality Dobříš–Strž from Václav Palivec for lifelong use. 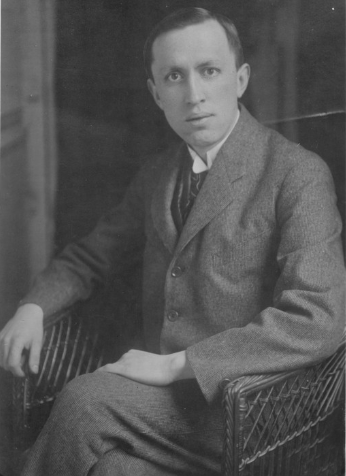 Karel Čapek was an avowed anti-fascist and anti-communist. He had to face a campaign of hate of the right-oriented press after the Munich Conference. The Gestapo had ranked him as "public enemy number 2" in Czechoslovakia. He was a great Anglophile since he was a schoolboy, and later became a friend of the President Masaryk. In the 1930s Čapek was nominated for the Nobel Prize in Literature several times (mainly for his plays R.U.R., The Makropulos Affair, and novel War with the Newts), but he never won it. In November 1938 Čapek catches a cold and fall ill with influenza and pneumonia while eliminating damages caused by floods at his house in Strž. Being a heavy smoker, and after improper treatment, he died of pneumonia on Sunday, 25 December 1938, shortly before his 49th birthday, and was interred in the Vysehrad cemetery on 29 December.